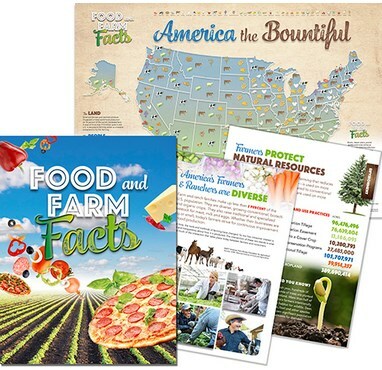 The Food and Farm Facts booklet features interesting and educational facts about food in America, how and where it is grown, and who produces it. Color photographs and easy to read info-graphics illustrate the many fascinating facets of today’s agriculture. Includes the Food and Farm Facts “America the Bountiful” map.